The Indian Institute of Science Education and Research Pune is a premier institute dedicated to research and teaching in the basic sciences. It was Established in 2006 by the Ministry of Human Resource Development. In 2012, it was declared as an Institute of National Importance by an Act of Parliament. 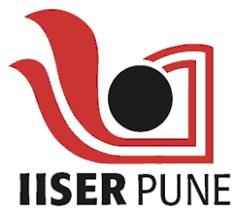 As a unique initiative in science education in India, IISER aims to be a Science University of the highest caliber devoted to both teaching and research in a totally integrated manner, with state-of-the-art research and high quality education, thus nurturing both curiosity and creativity.IISER Pune has initiated a 5 years Integrated Masters programme and a post-Masters PhD programme in Integrated Sciences in an intellectually vibrant atmosphere of research. Apart from classroom instruction, IISER builds student skills in areas such as scientific inquiry, problem solving, communication skills, computational sciences, electronics and instrumentation and workshop practices. IISER plans to develop advanced teaching and research labs where students will have the opportunity to pursue experiments as well as advanced research under the mentorship of world-class faculty. Eventually, this should make education and careers in basic sciences more exciting and rewarding.We dedicate ourselves to learn, teach and serve society through excellence, in education research and public service, create learning and a working environment based on integrity, fairness, dignity and professionalism to provide equal opportunities for all and to develop and encourage a sense of environmental responsibility.